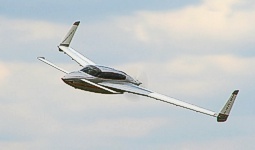 Cozy - Mk3 and Mk4 airplanes and other homebuilders. 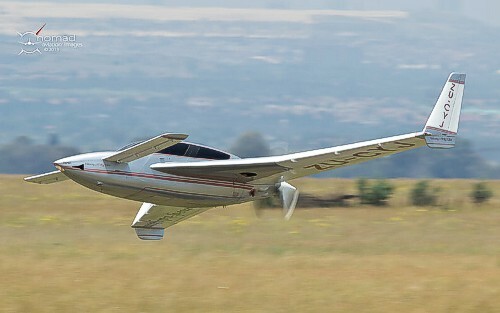 Promoting the airplane homebuilding industry in South Africa. Contact Gavin Lawson if you are a homebuilder, I can help you build your plane. Pieter Saayman building a Cozy 4 in Tokai, Cape Town. The air brake cover and landing gear covers are progressing. 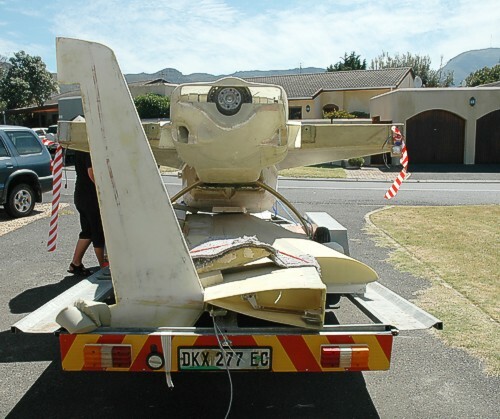 Read more about Pieter's plane. updated 24/06/2016. Bill Reeves building a Cozy Mk4 in Tokai, Cape Town. Inside of the nose has been glassed and the pedals are ready to be mounted. Read more about Bill's plane. updated 15/03/2016. Building and flying "The Posm Predators" team entry in the Redbull Flugtag, December 2012. Read and see what happened. Barend de Beer building his Cozy Mk4 based in Pretoria. photograph by Barend de Beer. 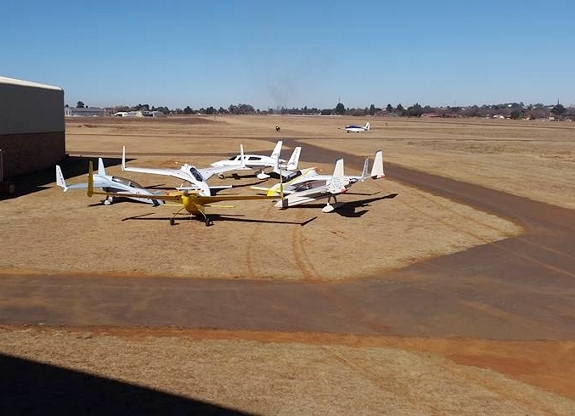 Outside the hangar at Wonderboom. Rego Burger will continue building a Mk3 Cozy in Port Elizabeth. Loaded and ready to leave Lakeside, Cape Town. Ernie de Goveia building a Cozy Mk3 in Lakeside, Cape Town. Read more about Ernie's plane. 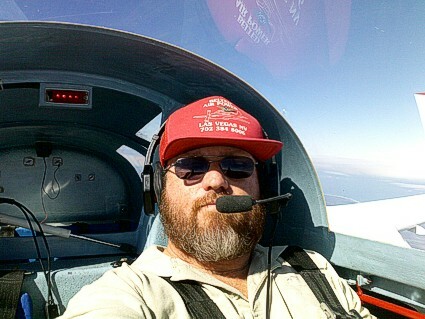 Rego Burger building and flying his Fish Eagle Cozy Mk4 based in Port Elizabeth. 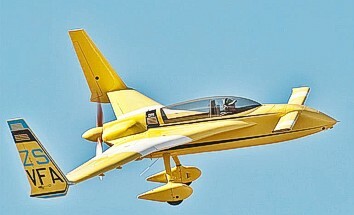 Rego test flying over Port Elizabeth. 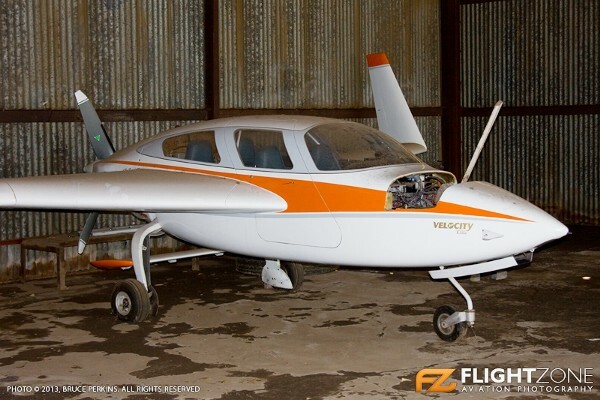 Read more about Rego's planes. Chris van Hoof's Cozy Mk4 based at Baragwanath. Read more about Chris's airplane. 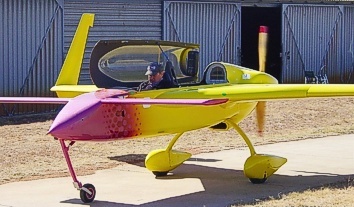 Jannie Versveld building and flying his Cozy Mk4 in Krugersdorp. 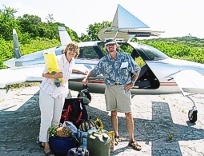 Read more about Jannie's plane. Other RSA canard, homebuilts and conservation restoration projects. photograph by Chris van Hoof. The collection of canards at the annual Springs EAA Chapter 575 Breakfast Fly In on 01 August 2015. 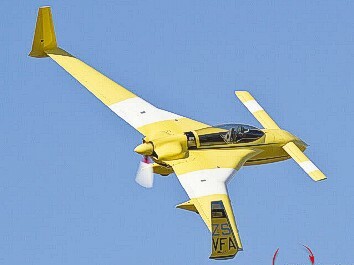 From the Avcom website at the Stellenbosch Fly - in May 2010. Shawn Uren's Longeze being prepared for the days flying. photograph by Justin de Reuck. Showing off the lines of the Longeze. Doing a fly past for all to get a good look. 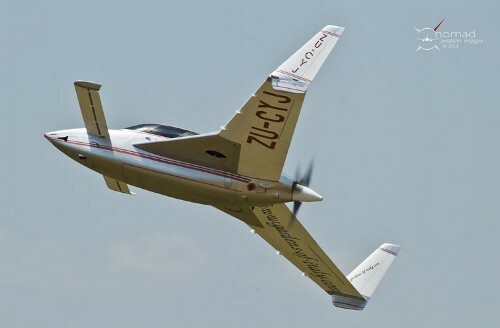 Marco Schmidt's Velocity on its maiden landing at Baraganath, June 2003. 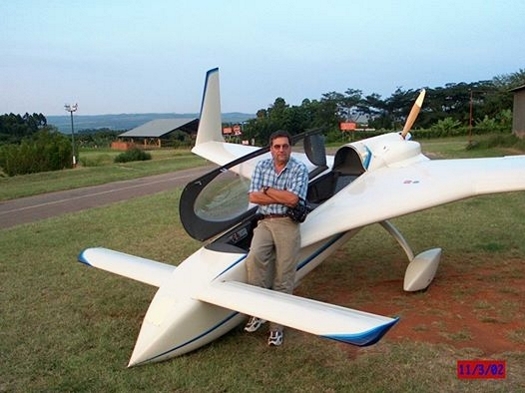 Dave King taxing off in his Longeze after test flying Marco's plane. photograph by Gerard Griessel. photograph by Chris van Hoof. What it looks like in 2007. The Schmidts getting around in their plane. 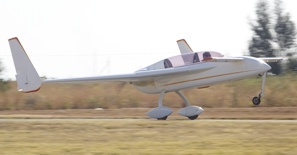 Taking off at Bara in 2013. Taxiing down to the runway. 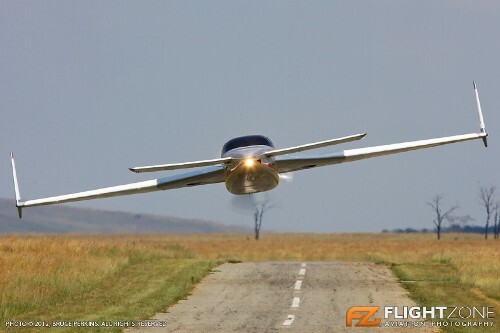 1st of the sequence of take off photos in 2013. 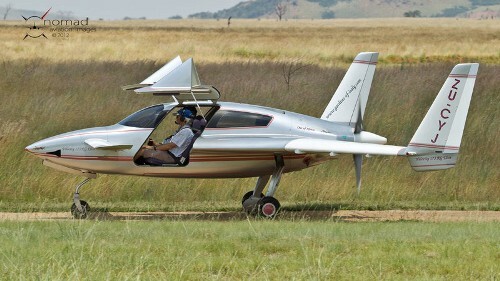 Dave Lister in his Longeze at Krugersdorp. Alfons Gessl building his Velocity in Johannesburg, March 2003. He has subsquently flown his maiden flight with Dave King as test pilot. With the canard removed for inspection in September 2013. 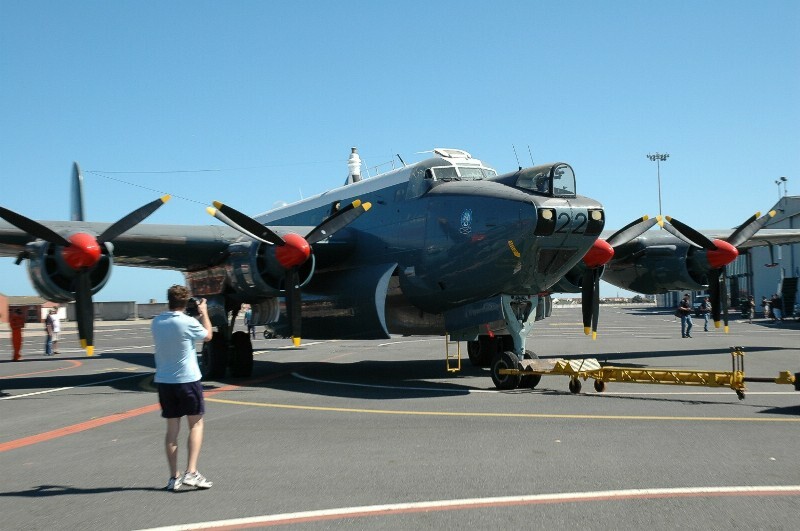 A tribute to those who care for and maintain the remaining Shackleton at the Ysterplaat, Air Force base. The Stobbart - Henshaw Challenge - 11 May 2009 - CPT - LDN - CPT. Chalkie Stobbart emerges from the plane after the record flight. Read about Chalkie Stobbarts world record.